The reported frequency of acute exacerbations in patients with IPF varies widely depending on the methodology used. 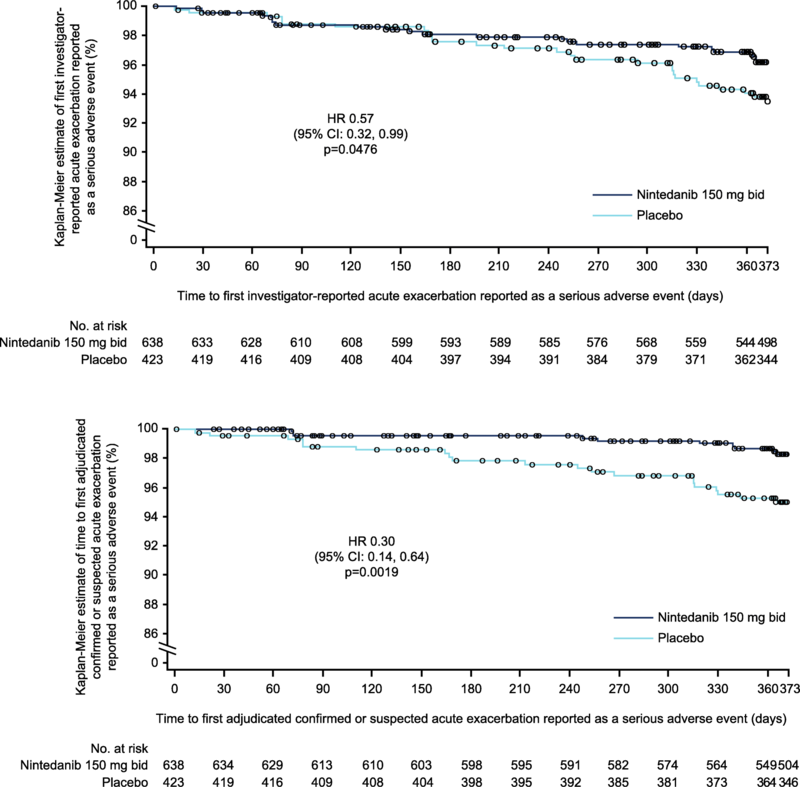 In clinical trials conducted in patients with IPF and mild to moderate impairment in lung function at baseline, acute exacerbations were reported in 2 to 16% of placebo-treated patients over 24 to 60 weeks [5–17]. 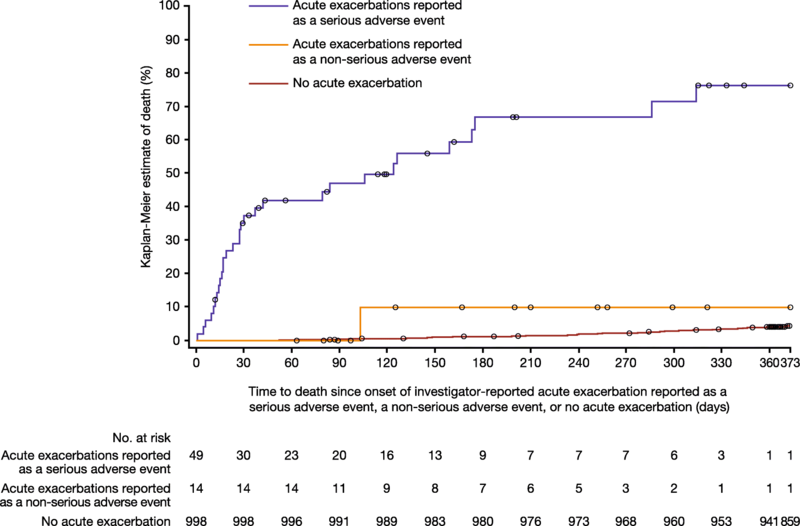 Similar or slightly higher frequencies of acute exacerbations have been observed in contemporary cohort studies [18–21].